This week on The Flickcast , Chris and Joe are back after some time off for the Labor Day holiday and ready to get back to all the action. This week the duo discuss some new topics, and revisit a few old ones. Some of this episodes discussion includes Bradley Cooper in Guardians of the Galaxy, Benedict Cumberpatch in the next Star Wars trilogy, Kurt Russell in the next Fast and Furious and Bryan Cranston as, potentially, Lex Luthor. There’s also some talk about the relative merits of the Hangover franchise, the new Riddick movie, the new Westworld TV series by J.J. Abrams and a whole lot more. This weeks picks include Joe’s pick of the movie Now You See Me with Morgan Freeman, Michael Caine and Jesse Eisenberg. Chris’ pick this week is the Cinemax series Strike Back, mostly because it’s a fun show and he often likes to watch things blow up (only on TV, of course). As always, if you have comments, questions, critiques, offers of sponsorship or whatever, feel free to hit us up in the comments, on Twitter, at Facebook, Google+ or via email. 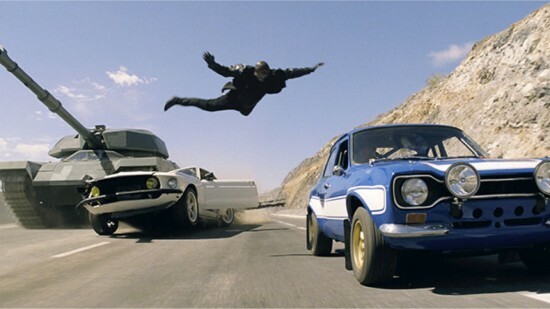 The Fast and Furious franchise is among the most curious in cinema history. Over a decade ago, when the first film came out, no one could have foreseen half a dozen films and hundreds of millions in total box office. Yet here we stand looking back at yet another weekend where the number 1 film is both speedy and a little irate. 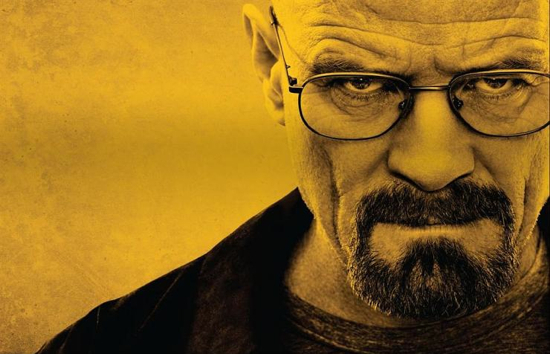 The film brought in an estimated $34.5 Million in its second weekend, which was just good enough to take first place. The film followed suit with its predecessors and took a nasty dip in weekend number 2, but the lack of a big film releasing during the slow, post Memorial Day weekend left enough room for Vin Diesel to have another weekend with the penthouse view. The big winner of the weekend, however, is second place finisher Now You See Me. The magician/heist film boasted a way-above-expectation $28 Million, which proves once again that putting Morgan Freeman in you trailers is a fast track to box office windfall. The film has a loaded cast, and provided enough of a change of pace to carve out a really nice audience in the middle of blockbuster season. There’s about two ways to show magic on screen — the first is demonstrating the tricks, usually in an unbroken shot (if they’re smart), and hope it’s almost like being there in person. When Danny Atlas (Jesse Eisenberg) is introduced, it looks like they’re going this way. He asks someone from the crowd to pick a card, and he flips through the deck. He says he went too fast, so he does it again. Now we’re seeing this from the face in the crowd’s perspective, so the trick is played like it’s for us. One card is shown a millisecond longer than the others, and that fraction is so perfectly timed that you notice it, but don’t notice whether you’re supposed to notice it. When the cards are flipped through again, you see it again. Then, when Atlas fans out the deck and asks if it’s in there and you don’t notice it, you realize you’ve been fooled. How that sequence is timed is so good, it’s the show-stopper. The second way is to focus on the showmanship, and we get that in the following bit with Merritt Osbourne (Woody Harrelson), a gifted hypnotist but, more accurately, grifter who can pick up visual cues from marks, expose their darkest secrets, then blackmail them. And while those two beats work very well, the movie never quite reaches that level again, nor does it decide which way to stick with. The succeeding two magicians we meet, Jack Wilder (Dave Franco), a straight-up thief, and Henley Reeves (Ilsa Fisher), a straight-up escape artist whose routine isn’t anything different from your standard Penn & Teller stunt — except, without, you know, Penn & Teller. Magic is a great subject for movies. Take The Prestige or The Illusionist as recent examples of that. Sadly, it hasn’t been as successful at the box office as it could have been. A new movie called Now You See Me is looking to change that. 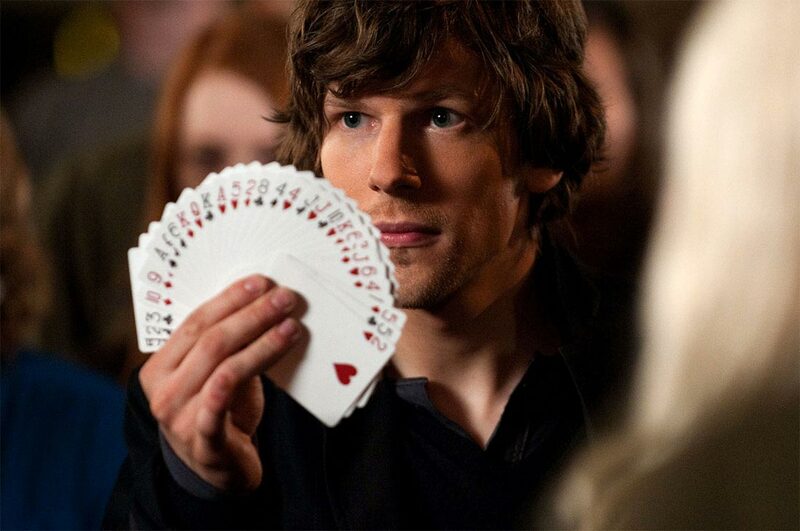 It’s got a great cast in Jesse Eisenberg, Woody Harrelson, Morgan Freeman, Isla Fisher, Mark Ruffalo and Michael Caine and tells the story of a group of illusionists who commit crimes using, of coure, their magic skills. The twist is they give the money to the audience instead of keeping it for themselves. Interesting. Check out the trailer after the break. Look for Now You See Me to arrive in theaters on May 31.